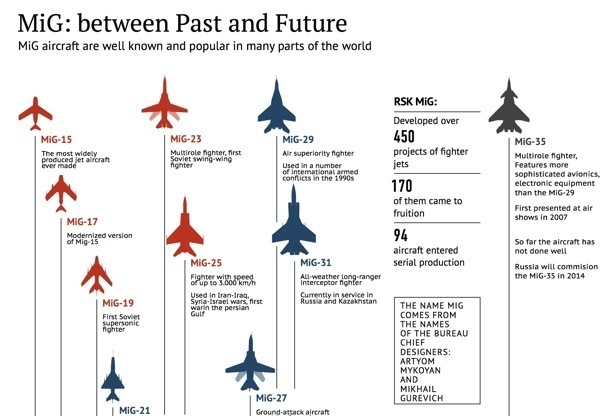 Well-known MiG military aircrafts are designed by the Mikoyan, a Russian aircraft corporation, formerly the Mikoyan-Gurevich Design Bureau. Many countries operate MiGs and one of them, India, remains one of the largest export operators of MiG-29. MiG General Director Sergei Korotkov said it plans to continue its decades-long cooperation with the Indian Air Force.